We specialize in providing a complete line of billing, collection, and distribution software for local government. At TaxPRO we do not aim to be all things to all people. We provide specialized solutions to meet the needs of our customers. 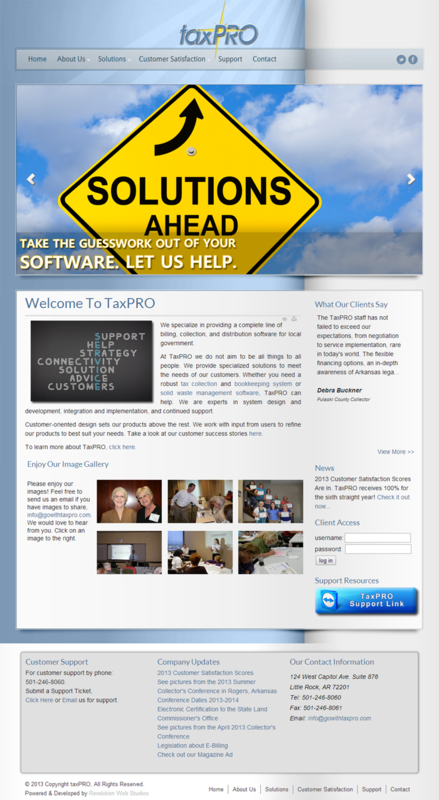 Whether you need a robust tax collection and bookkeeping system or solid waste management software, TaxPRO can help. We are experts in system design and development, integration and implementation, and continued support. Customer-oriented design sets our products above the rest. We work with input from users to refine our products to best suit your needs. Take a look at our customer success stories here. To learn more about TaxPRO, click here.